Your BIOZEN beauty center for men and women recommends this facial for a remove blackheads, to reduce comedones and tighten the skin. For whom is this anti-comedones facial care? This anti-blackhead facial treatment is recommended for skins mixed to oily, skin imperfections. How does an anti-blackheads facial treatment, called “anti-comedones”, work? After a make-up removing and a gentle exfoliation, it makes it possible to extract the comedones with or without steam thanks to its magic anti-comedones lotion. Scrubbing and balancing for the skin whose pores are dilated. A massage, performed with a balancing serum as well as a laying of a mask, ensure a good products penetration to ensure a result from the 1st treatment. Finally, this treatment ends with the application of an anti-black points cream, called Cream C17, also available for sale. What are the results of anti-blackheads facial treatment called anti-comedones? Thyme, Magnesium, Natural Camphor, Potassium, reduce blackheads and tighten skin. They purify and target imperfections and restore a genuine shine. How often do you do this anti-blackheads facial treatment called anti-comedones? It is advisable to do an anti-blackheads facial treatment on average once a month or in a 4 treatment course (1 treatment per week). 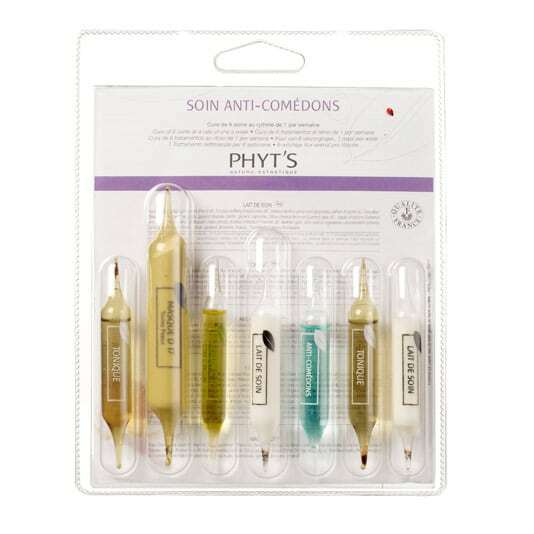 What is the price of a facial anti-blackheads treatment called anti-comedones?